Finished Quilt 76" x 83"
Using conventional patchwork techniques make a greenhouse full of patchwork plants. No paper piecing! 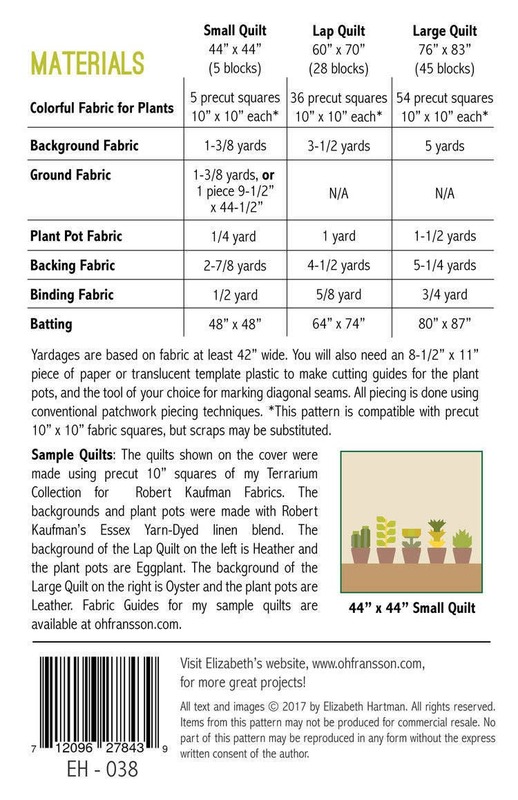 The pattern includes instructions for making large and small quilts. Please refer to the listing images for details. Kit includes pattern, fabric for top and binding only (no backing included). 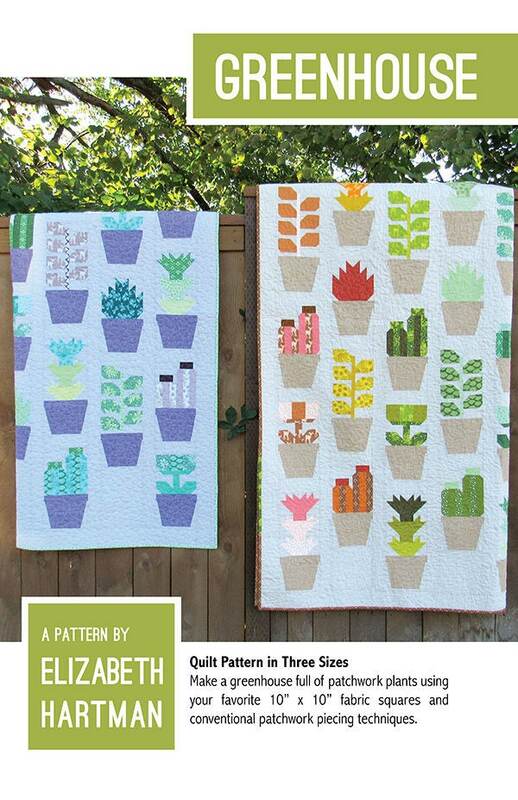 Features fabrics from the "Terrarium" collection by Elizabeth Hartman. 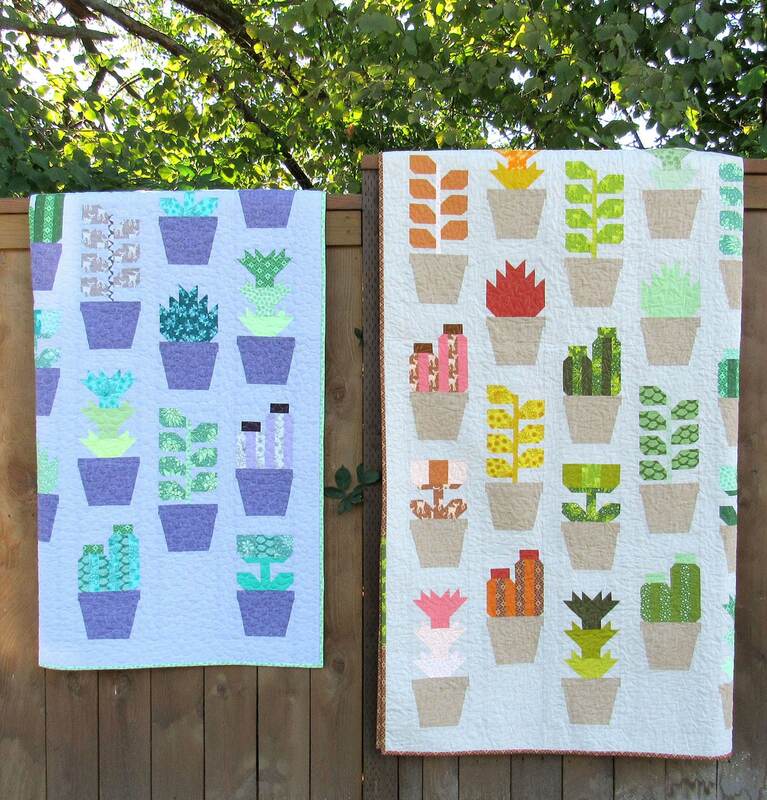 Kit is for the quilt with the tan plant pots. Great communication and shipping. Gorgeous! Thank you!